Klein und leicht ist der Cobra Squeeze Laptoprucksack offensichtlich. Trotz seines schlanken Designs hat er aber jede Menge Stauraum für dein Zeug: Ein MacBook oder anderer Laptop mit einer Größe bis 15,4 Zoll, ein Tablet, das nötige Zubehör, Ladekabel sowie Bücher in dem Rucksack mit Laptopfach zu verstauen ist kein Problem. Zudem erleichtern clever platzierte Fächer deinen Alltag, z.B. das Smartphone-Fach ganz oben am Laptoprucksack. 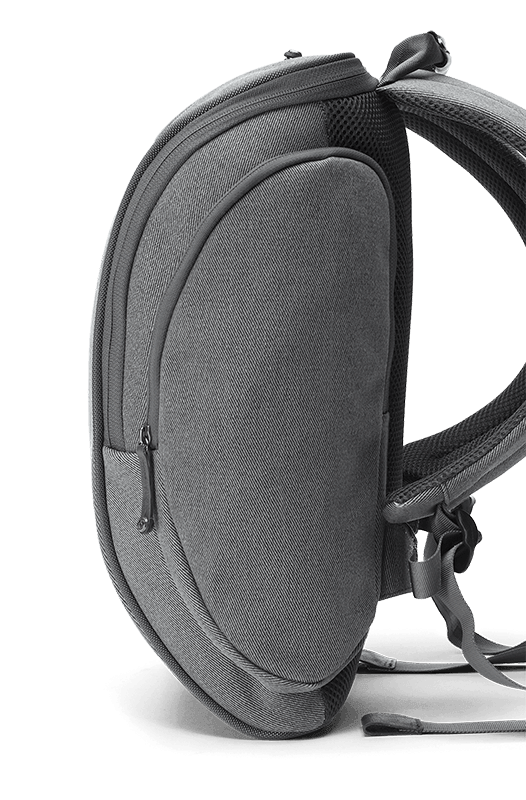 Neben dem minimalistisch-innovativen Design überzeugt der kompakte Cobra Squeeze Rucksack natürlich auch durch seine Materialien. 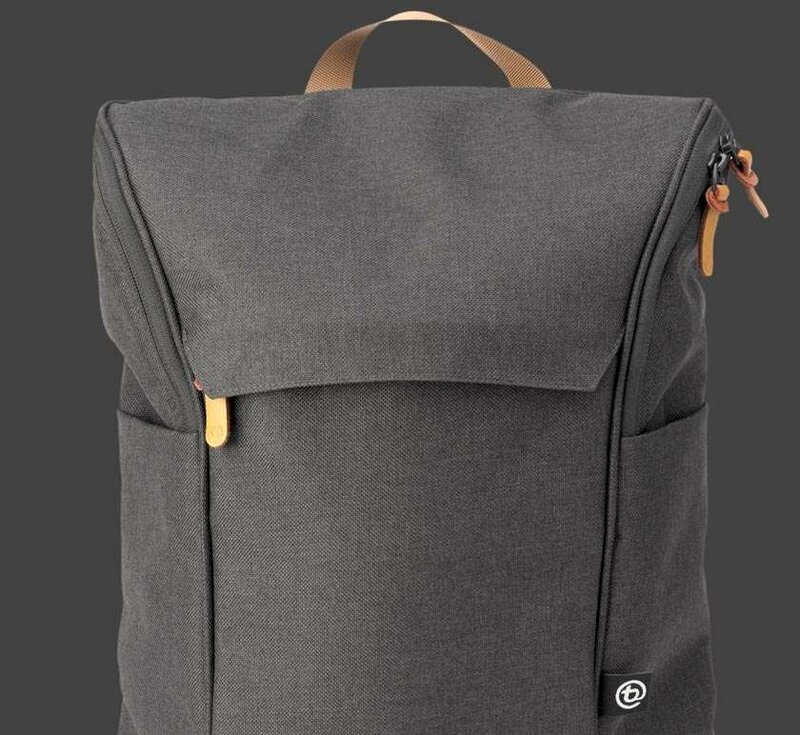 Dieser Laptoprucksack ist nämlich aus unserem technisch fortschrittlichsten Material gefertigt, einem höchst strapazierfähigem und wasserdichten Gewebe aus Baumwolle und einer recycelten PET-Faser. Der Cobra Squeeze Laptoprucksack ist zudem mit ergonomisch geformten Schultergurten und einem Airmesh-Rückenpolster für optimalen Komfort ausgestattet. Die Verwendung von YKK-Qualitätsreißverschlüssen mit Zips aus echtem Nappaleder rundet das hochwertige Design ab. Beim Cobra Squeeze ist der Terralinq Lost & Found-Service inklusive. Das bedeutet, dass booq dir hilft deinen Rucksack mit Laptopfach wiederzufinden, wenn du ihn einmal verloren hast. Für mehr Informationen zu Terralinq klicke hier. While our name may not have a meaningful origin, our brand is not without meaning. We create bags for creative pros, because we believe in empowering the creative spirit through great design. This is why for many of our customers who can appreciate the care we take with every detail, a booq bag is much more than a quality carrying solution. It's a design-conscious quality way of life. Some say that booq stands for "bags of optimum quality." Sure, through curating amazing materials and ensuring excellent workmanship, our products can endure years of abuse. And, while we do strive for optimum quality in everything we do, we always welcome thoughts and ideas on how we can improve. We are a small family company, founded and headed by Thorsten Trotzenberg, a German-born product designer, and we like to keep things simple instead of being all things to all people. Which is why we can focus all of our energy on creating great bags, that's it. It is this narrow focus that allows us to spend a little more time with the little details that let us turn a merely decent concept into an amazing product. 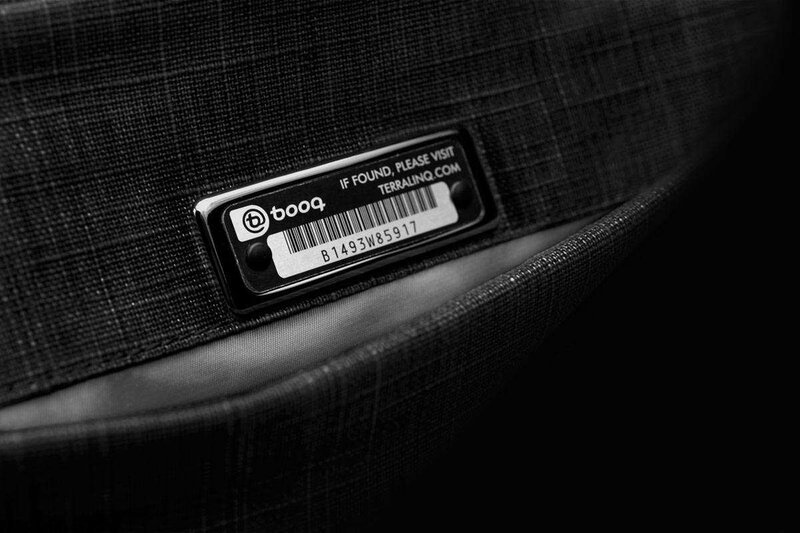 And if you know a great product when you see it, you should consider owning a booq bag. Your purchase of a booq bag is just the beginning. Through our very own Terralinq serial number service, which comes standard on all of our bags, we help you recover your lost bag and its valuable contents. Hey, call us (during regular business hours, we are a small company), and we even answer the phone personally and will do what we can to help you with any questions or problems you may have about your booq bag. 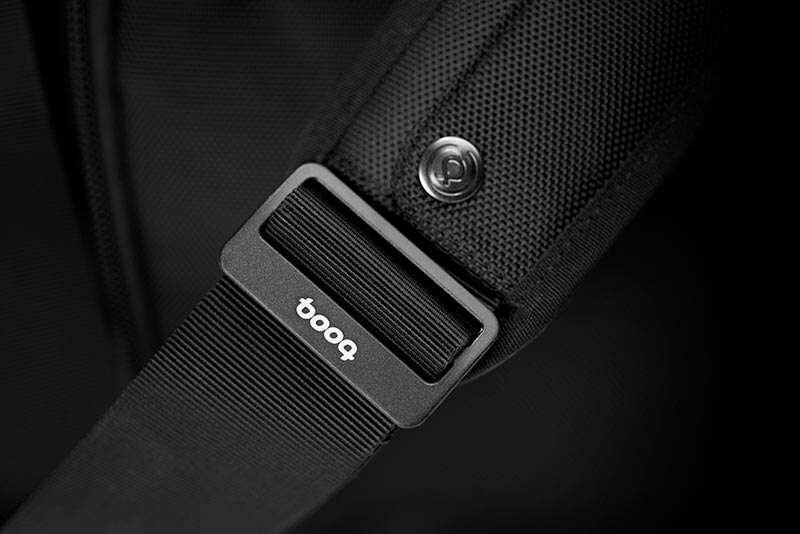 The booq brand stands for premium, extremely well-designed carrying solutions intended for those who value creative passion and promote creative ambition. We do not exist for those who fear change, nor do we work for those who resist it. The booq brand supports those who passionately work to inspire, initiate and create new, high-quality ideas and solutions, sometimes against all odds and seemingly better judgment. We all know that the world's progress depends increasingly on creatives and creative professionals, and since it takes ambitious ideas to make the world a better place, booq wants to help move those big ideas wherever they need to go. why we strive to create excellent ways to contain and carry the most ambitious ideas. Booq was founded by Thorsten Trotzenberg, a German native, product design graduate of Pasadena's Art Center College of Design, and founding partner of 3Gen, now the world's leading maker of handheld skin cancer screening devices marketed under the DermLite® brand. Booq started in 2002 as a garage operation based in Burbank, California, and the privately held family company moved to Sierra Madre, a creative community in the foothills above Los Angeles, in 2003. Run by a small team of highly motivated creative individuals who are committed to providing the highest level of product performance and service to some of the world's most ambitious and innovative individuals, it is our customers' creative work that gives us all the inspiration we need to stay focused and create truly great carrying solutions. In turn, we hope that our work inspires others to do the same, and we look forward to helping you move your next ambitious idea farther for many years to come.